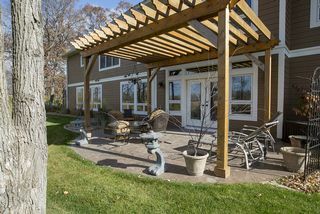 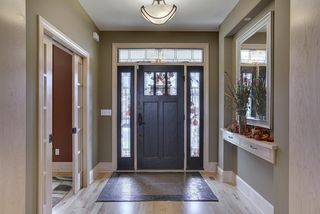 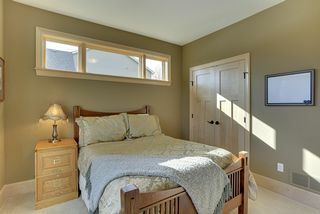 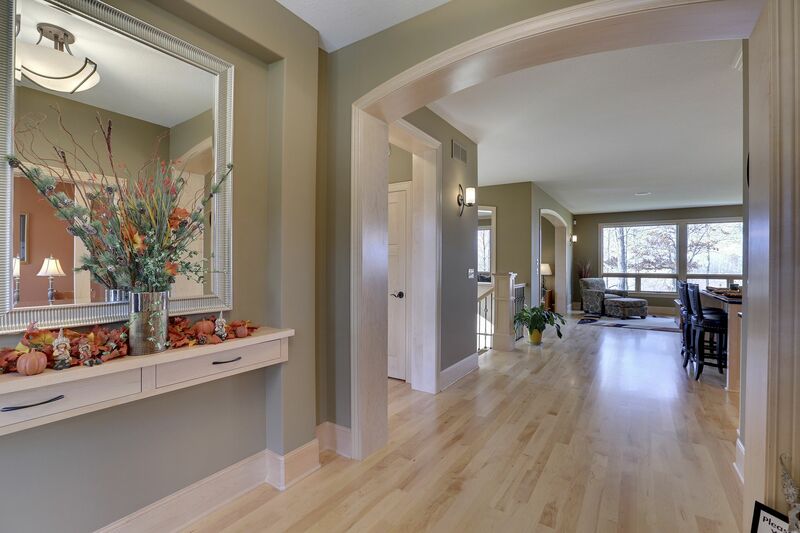 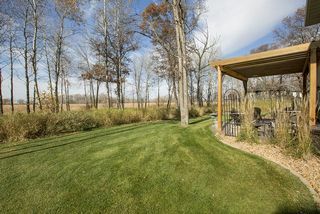 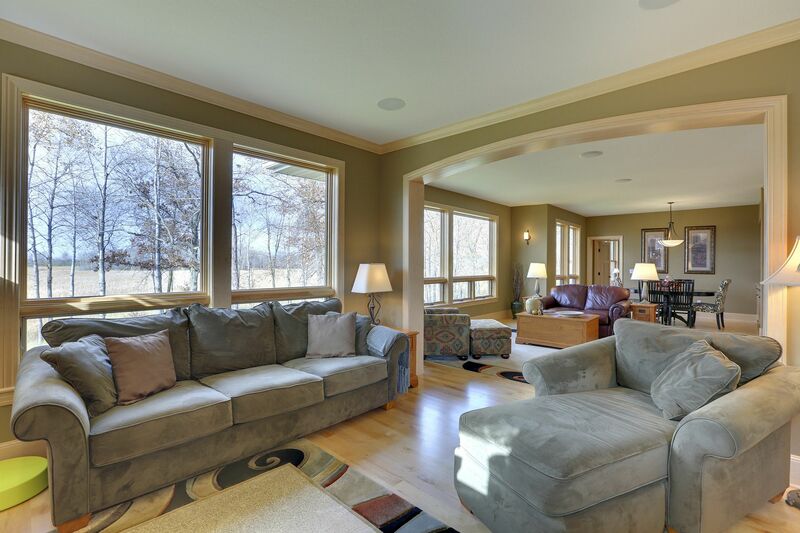 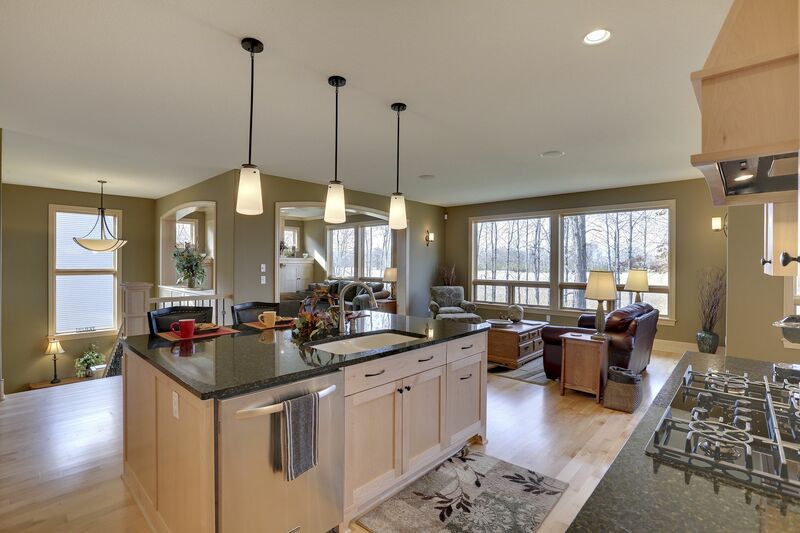 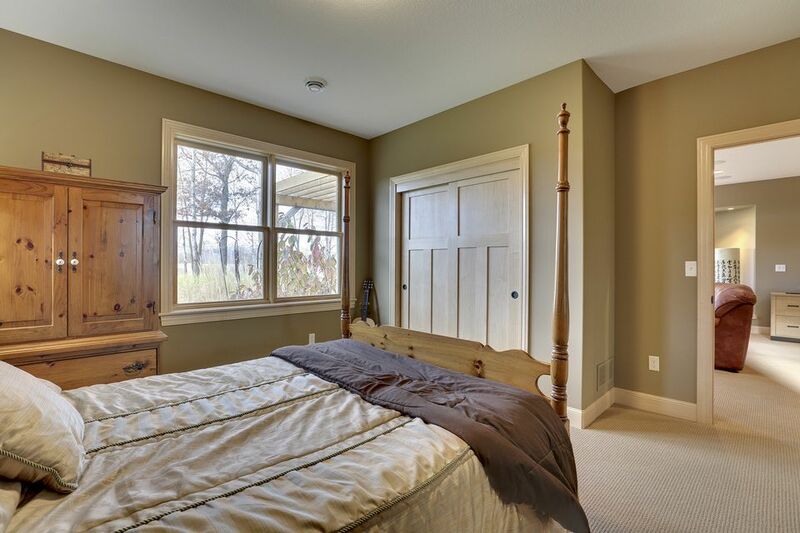 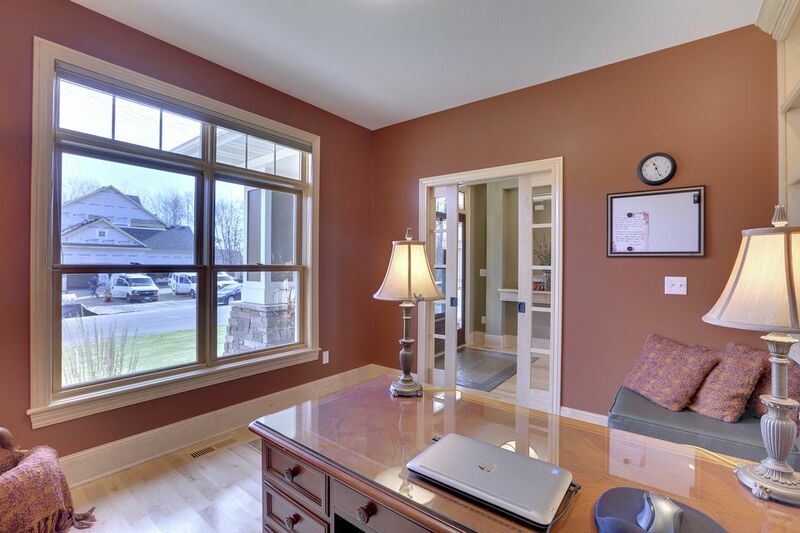 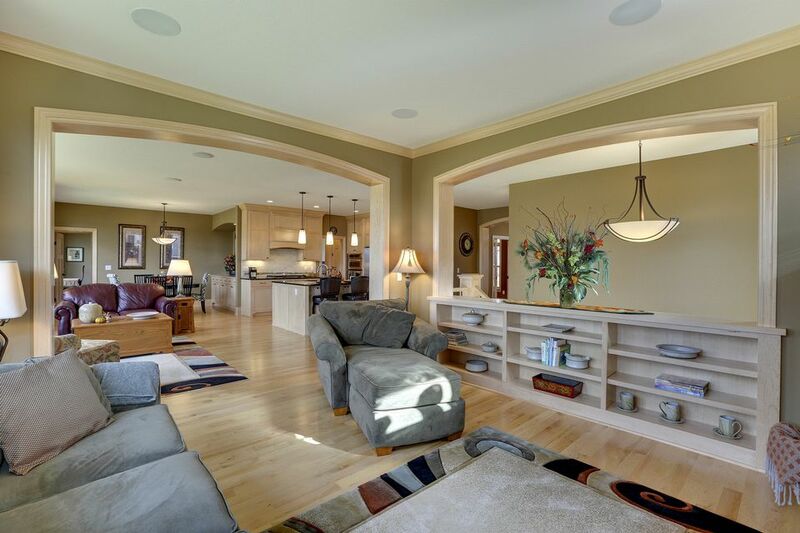 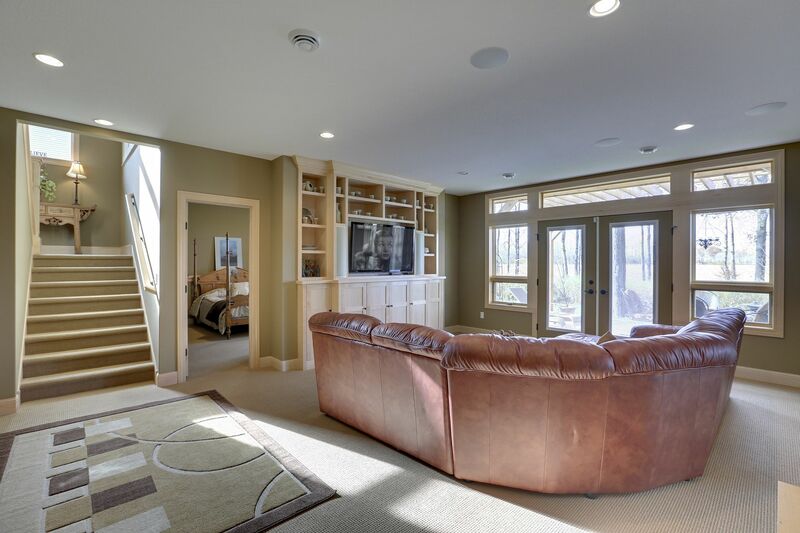 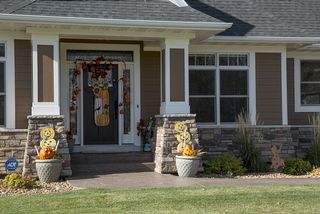 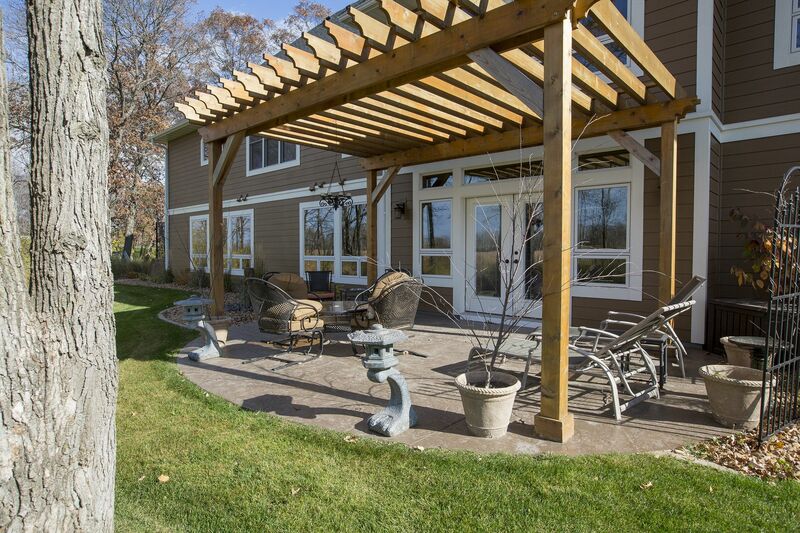 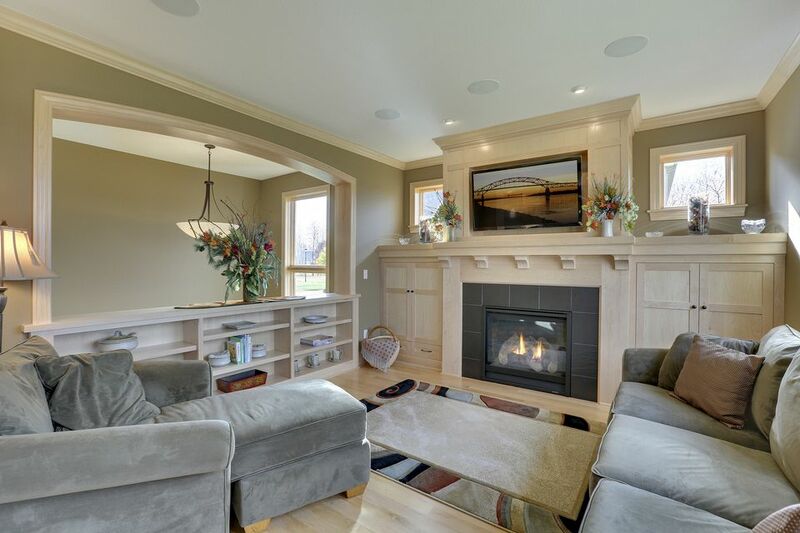 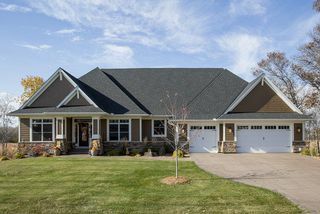 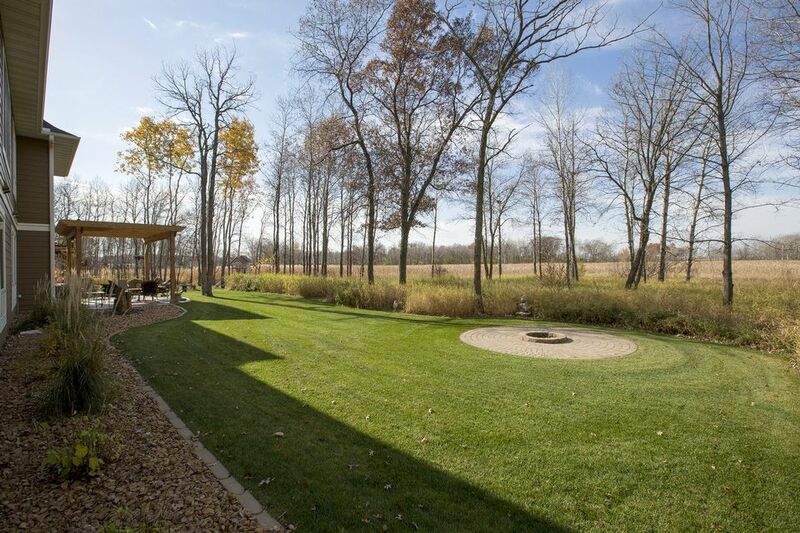 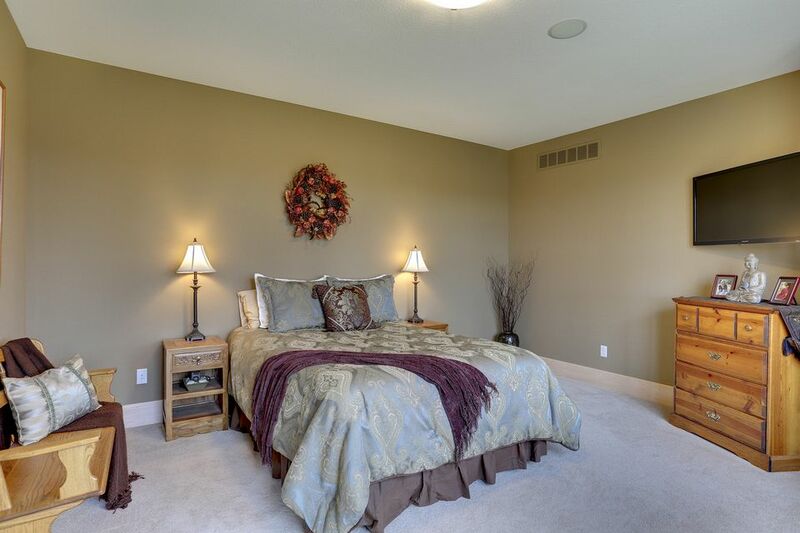 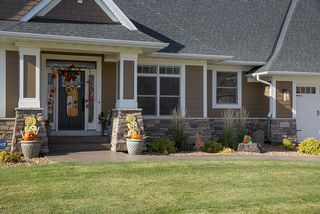 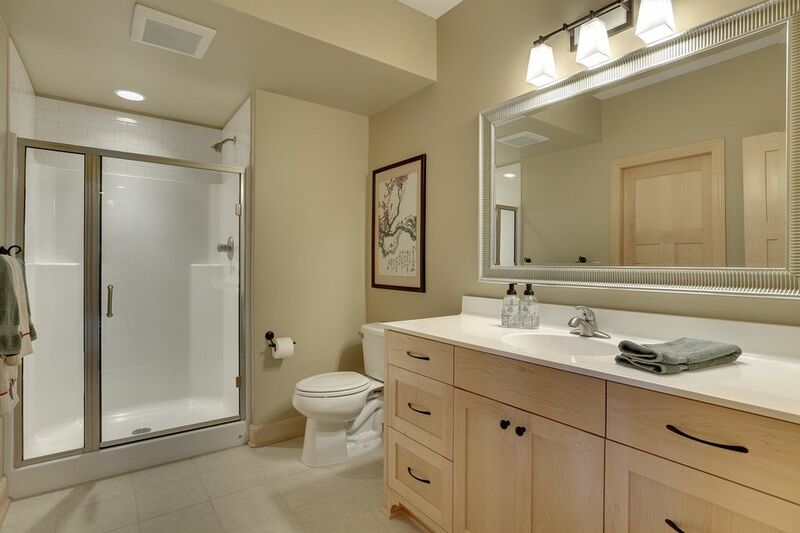 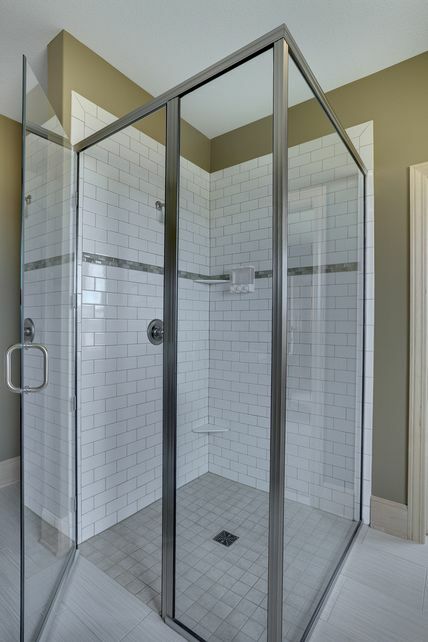 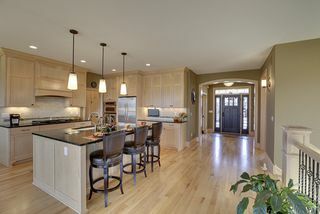 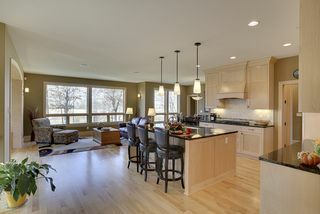 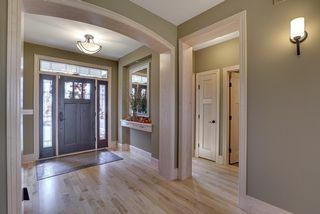 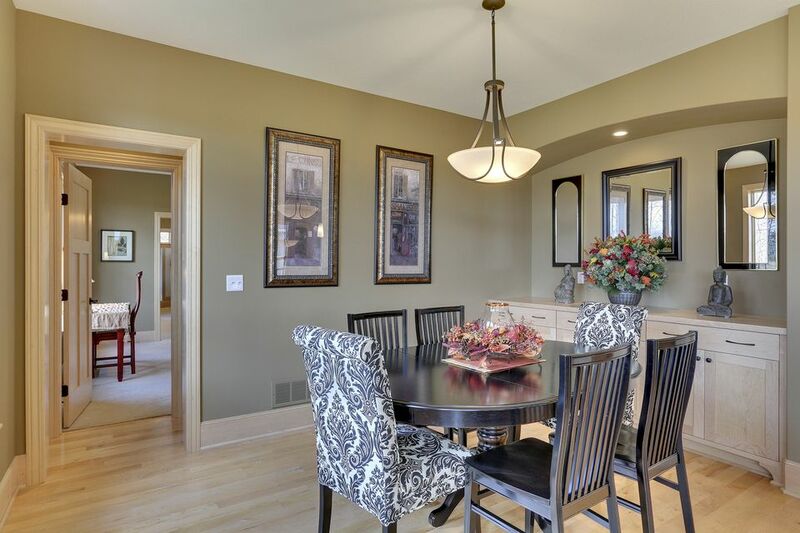 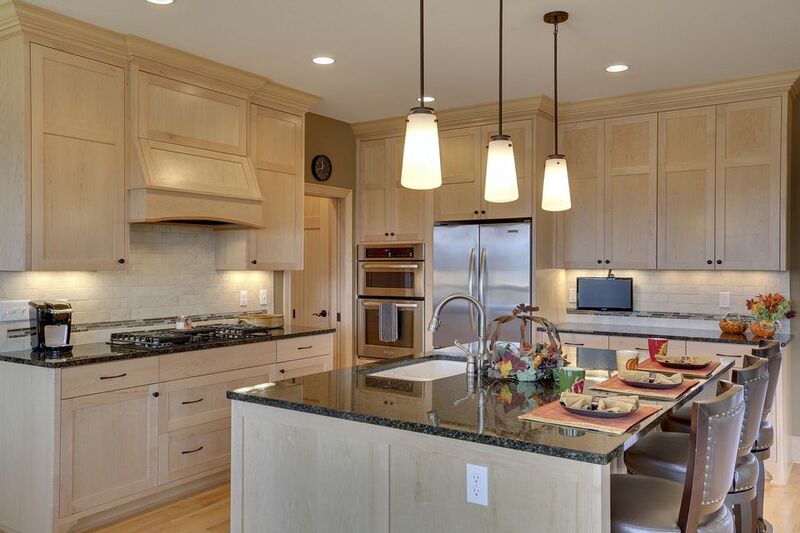 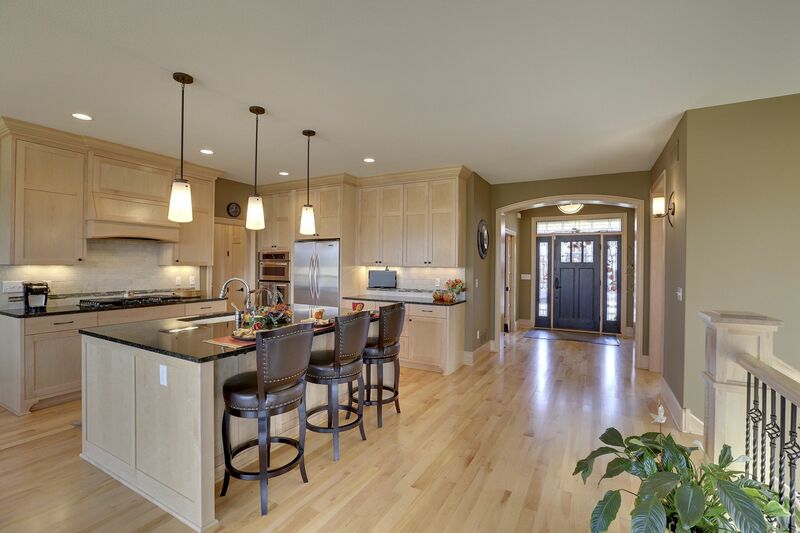 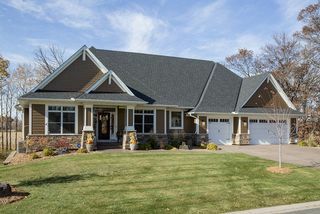 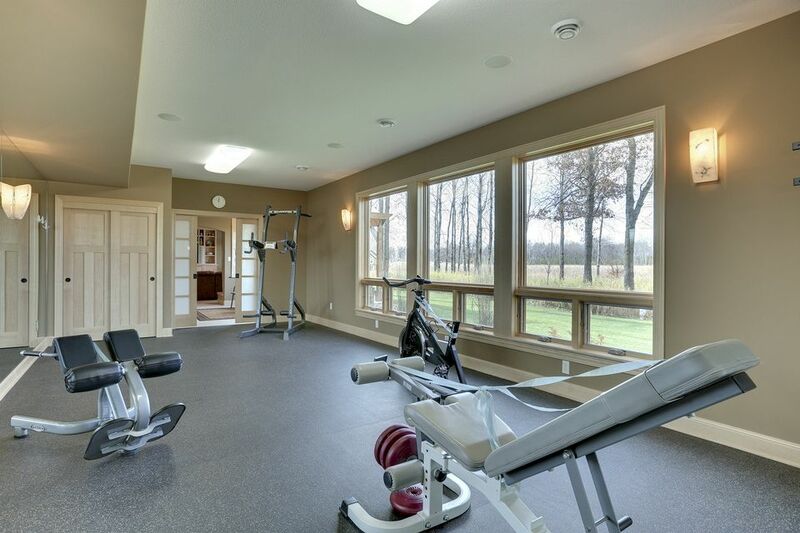 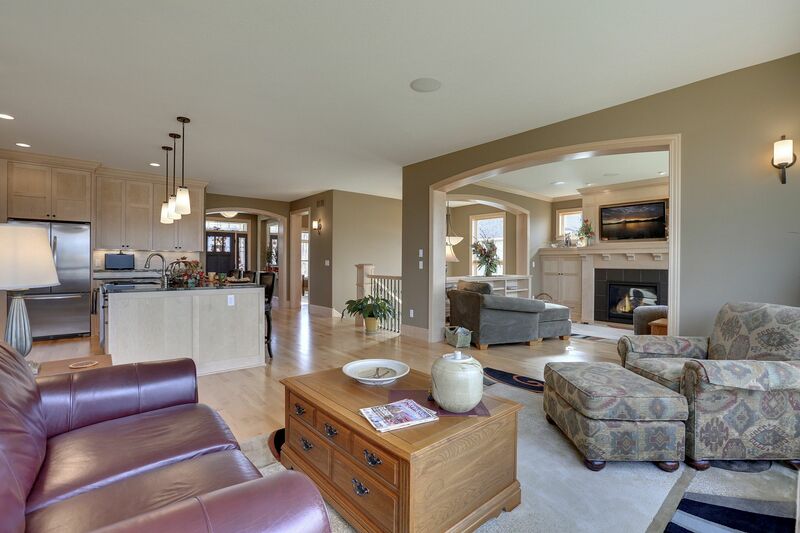 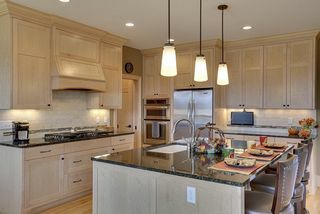 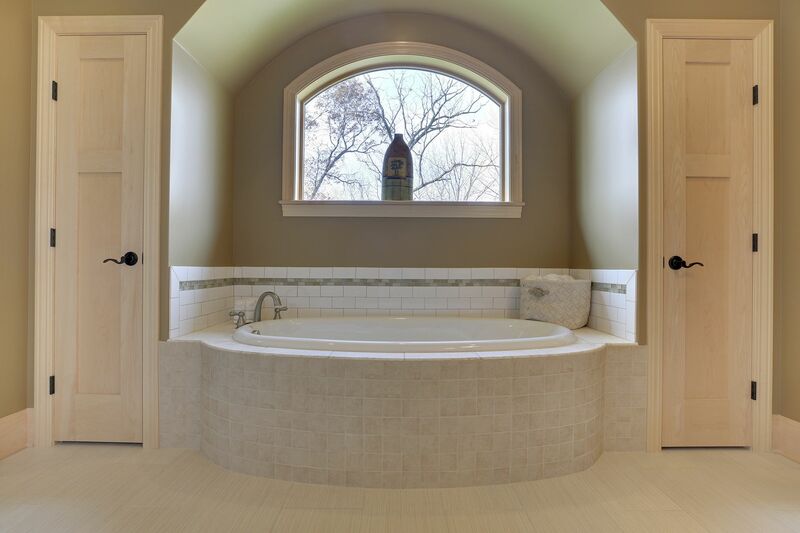 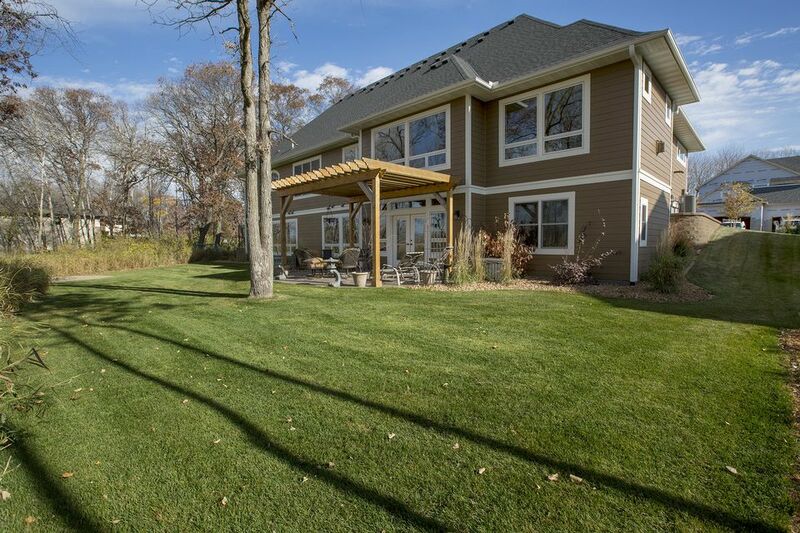 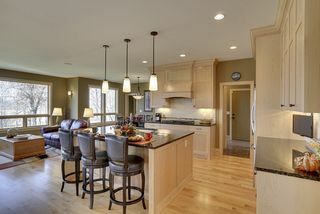 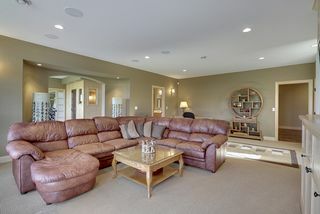 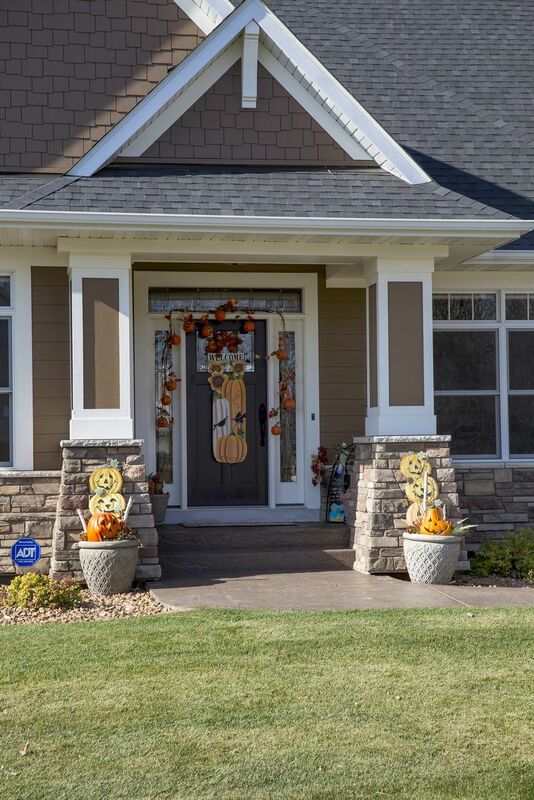 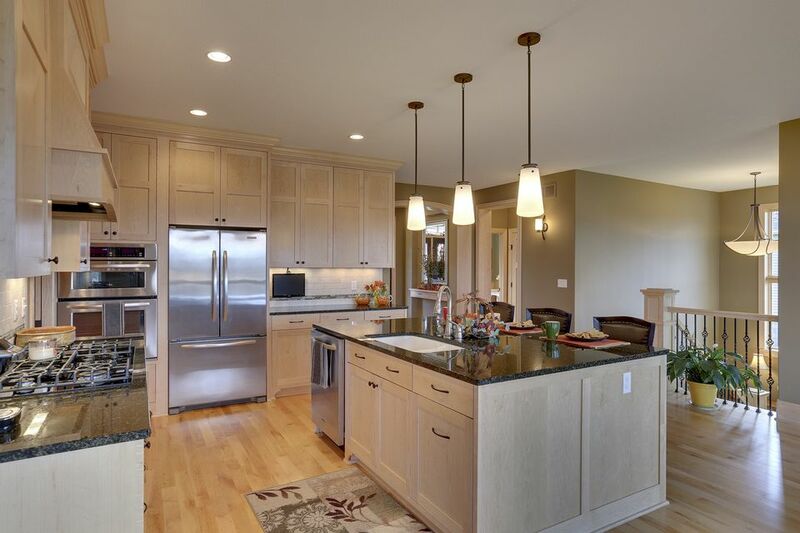 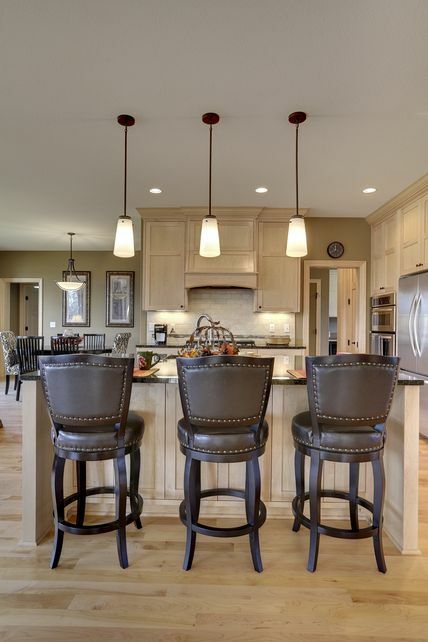 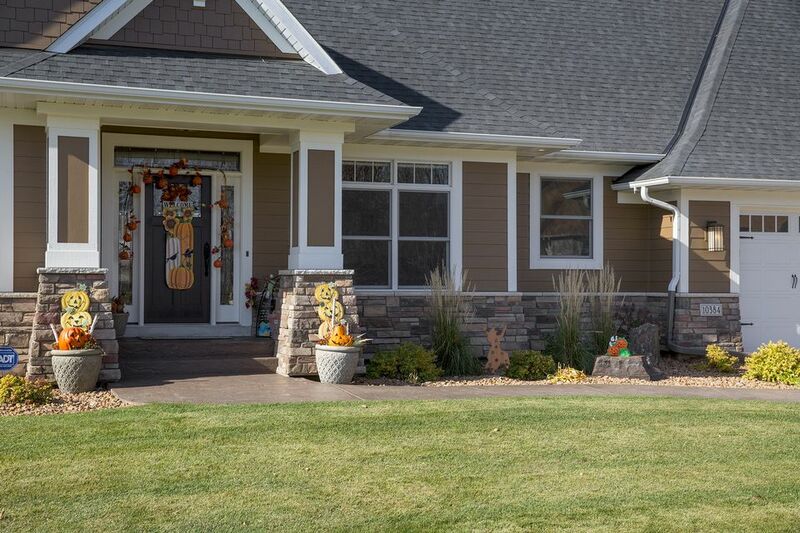 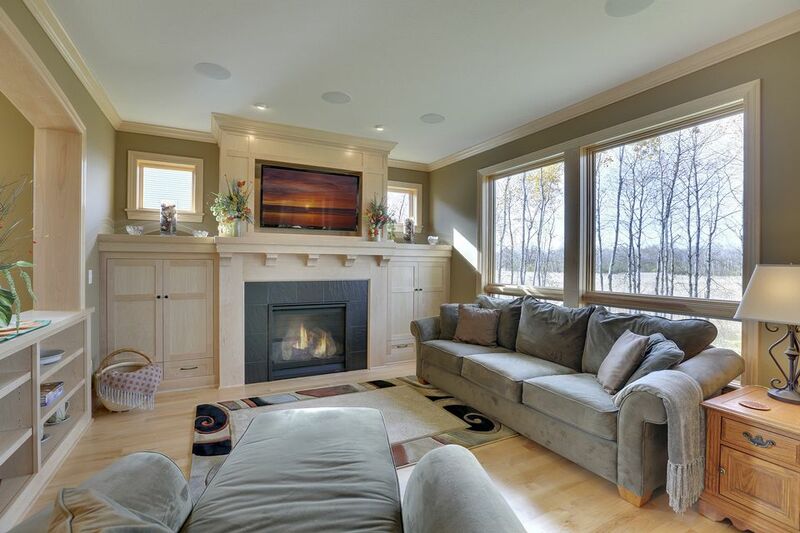 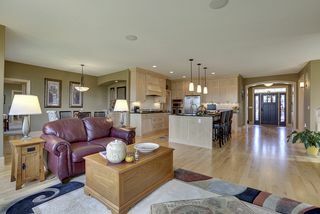 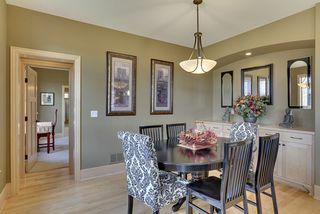 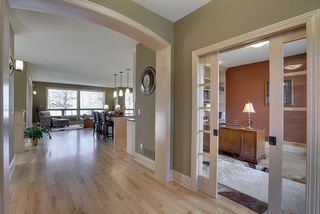 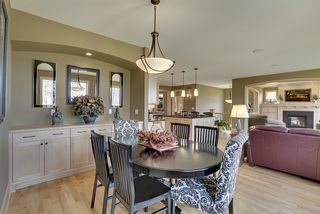 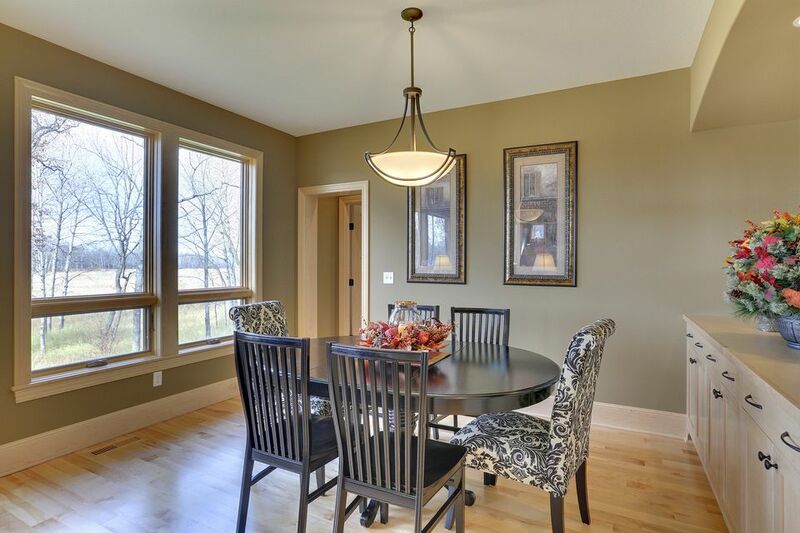 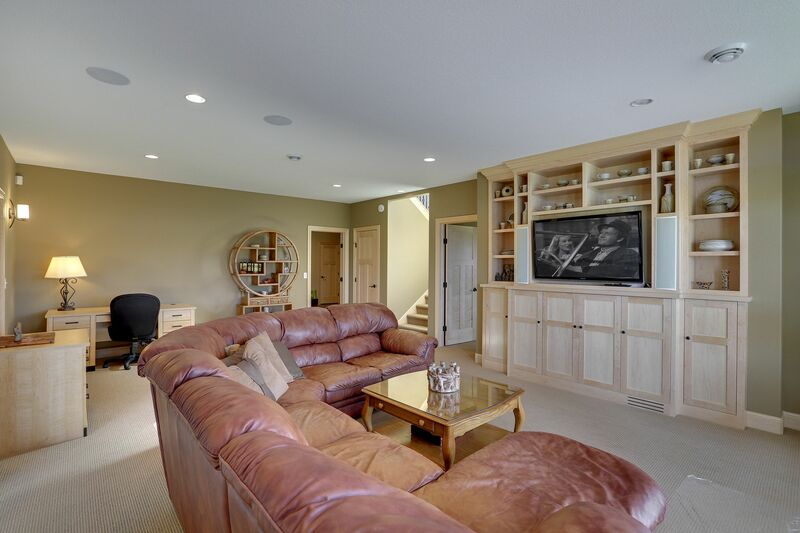 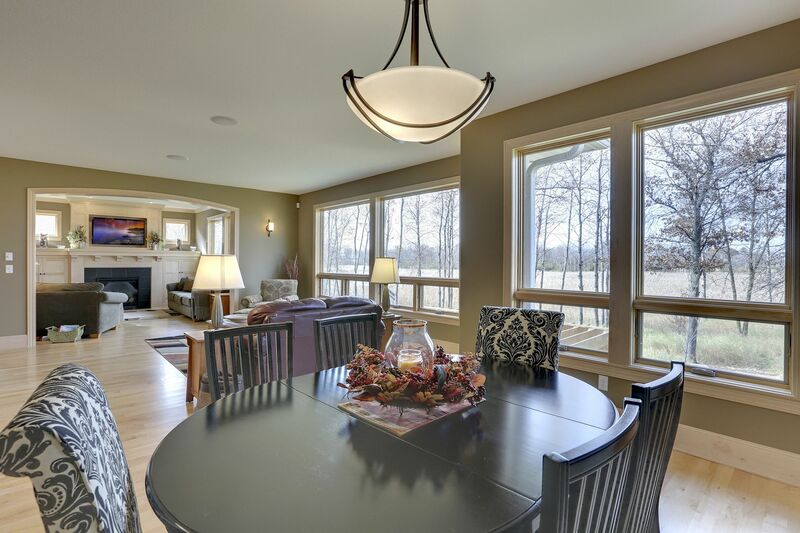 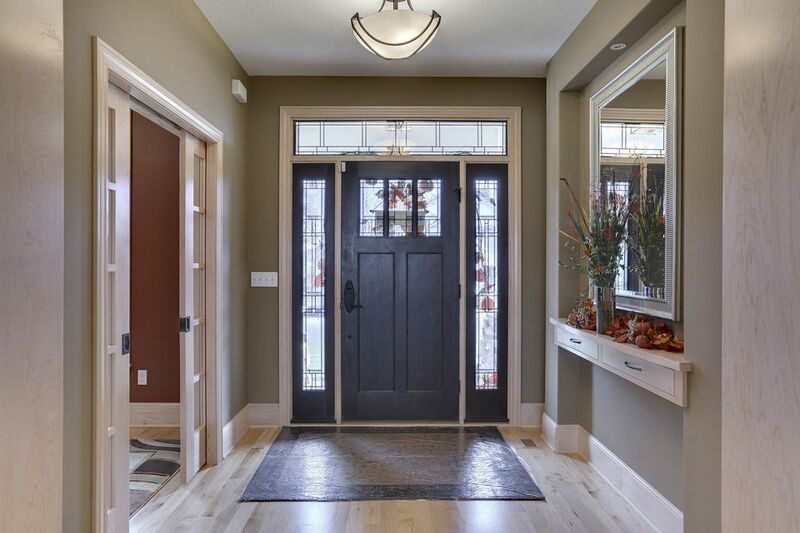 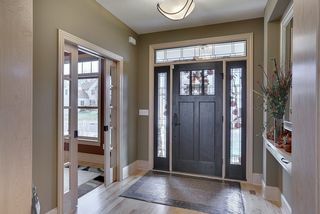 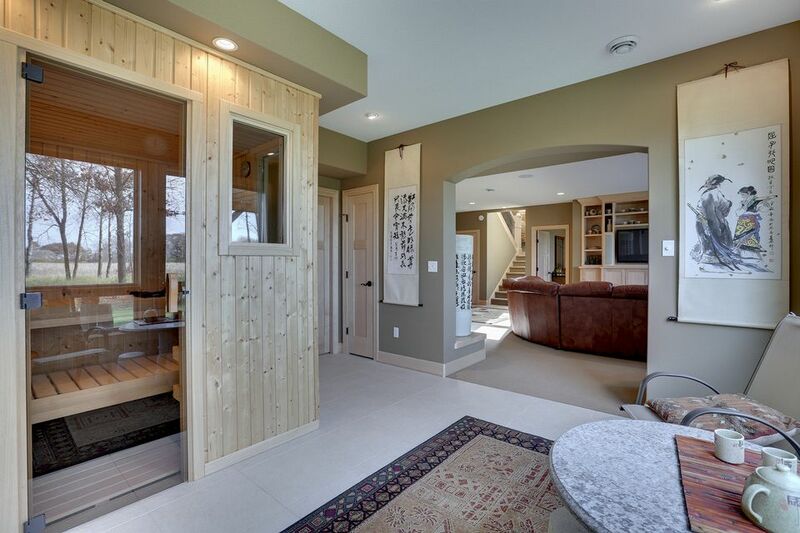 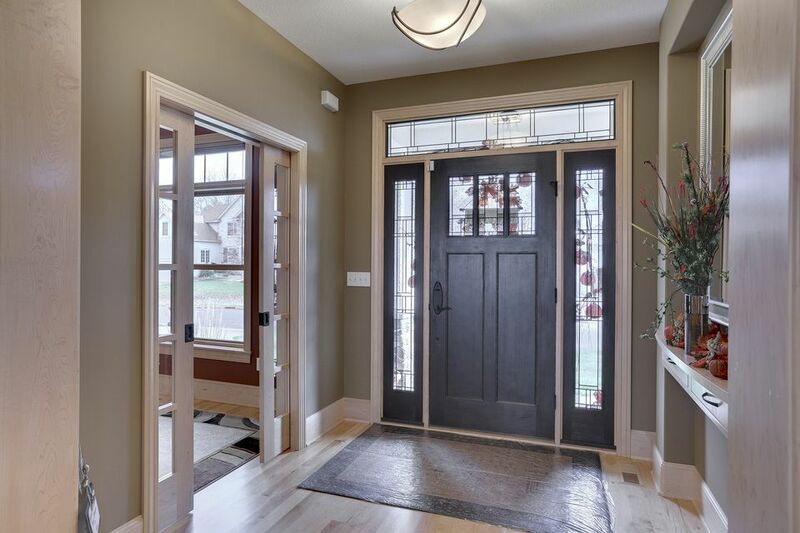 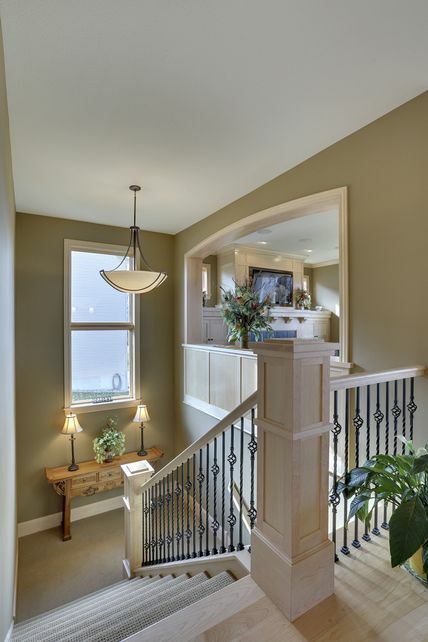 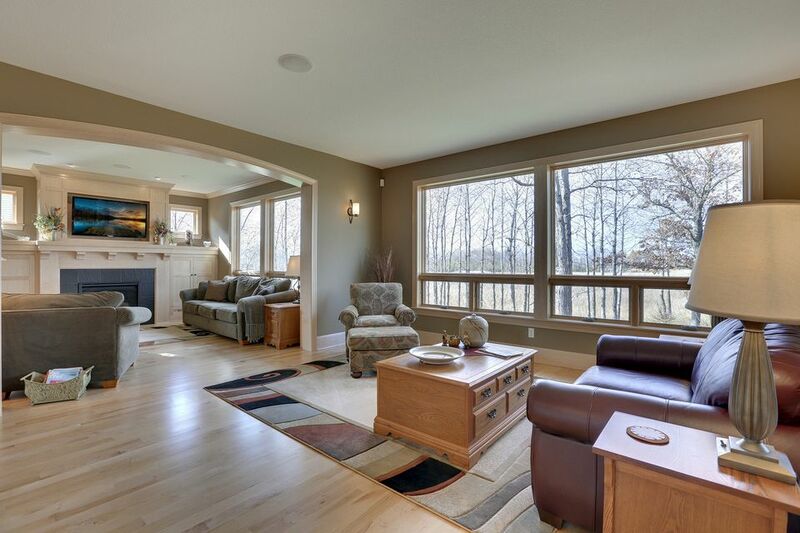 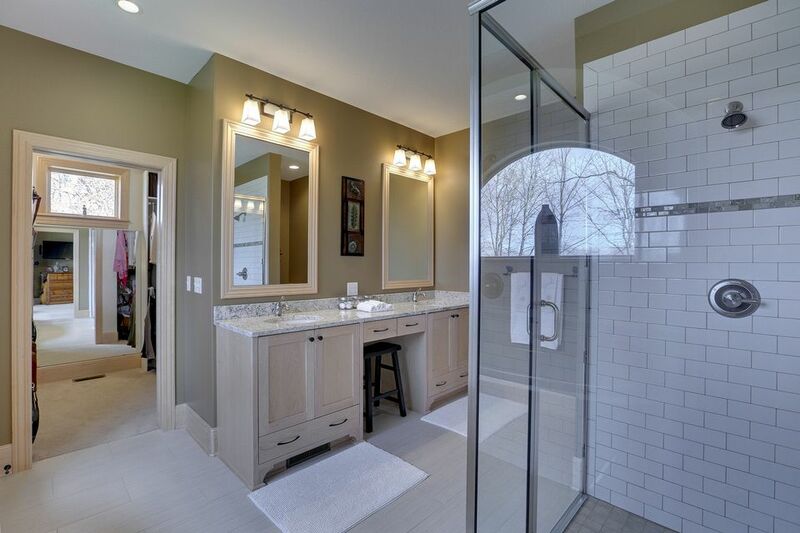 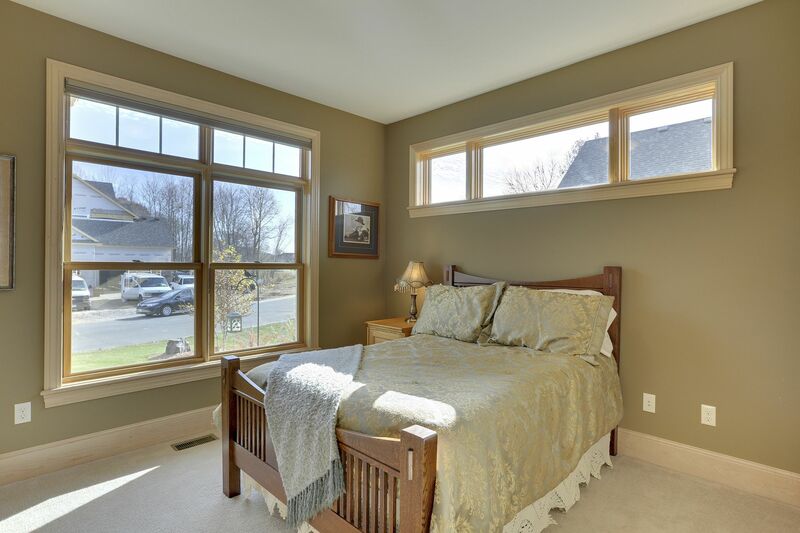 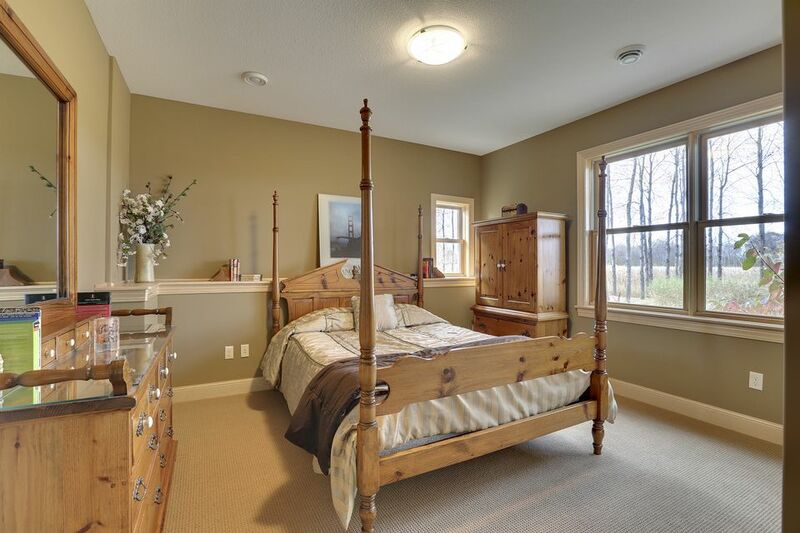 This breath-taking custom build is conveniently located in the highly desired neighborhoods of Blaine. 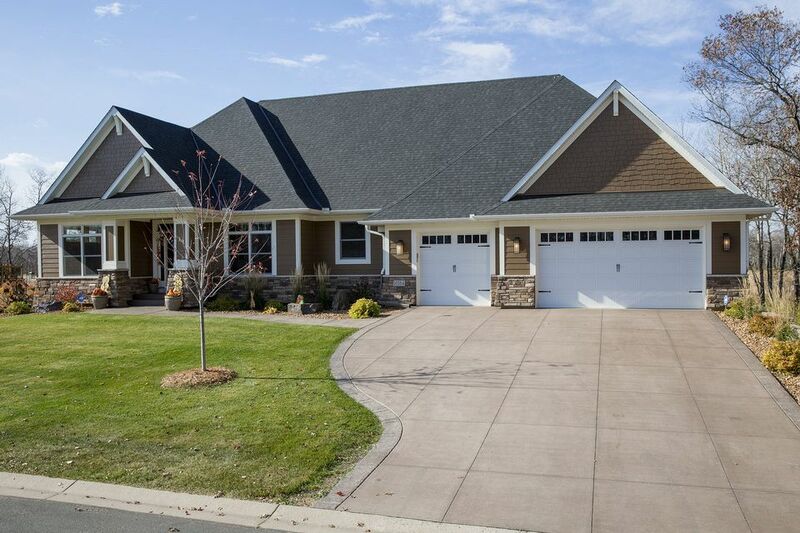 With 3 beds and 3 baths, this beautiful one story home is perfect for any buyer. 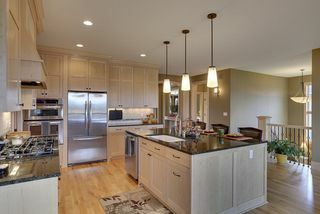 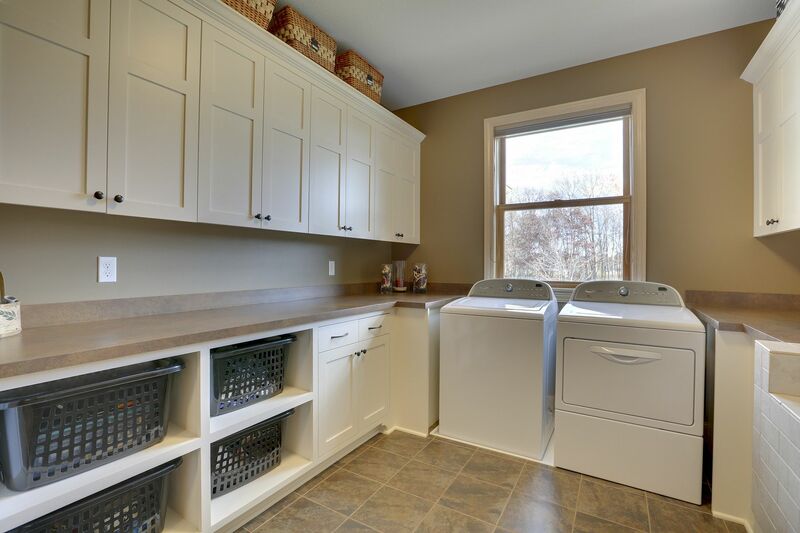 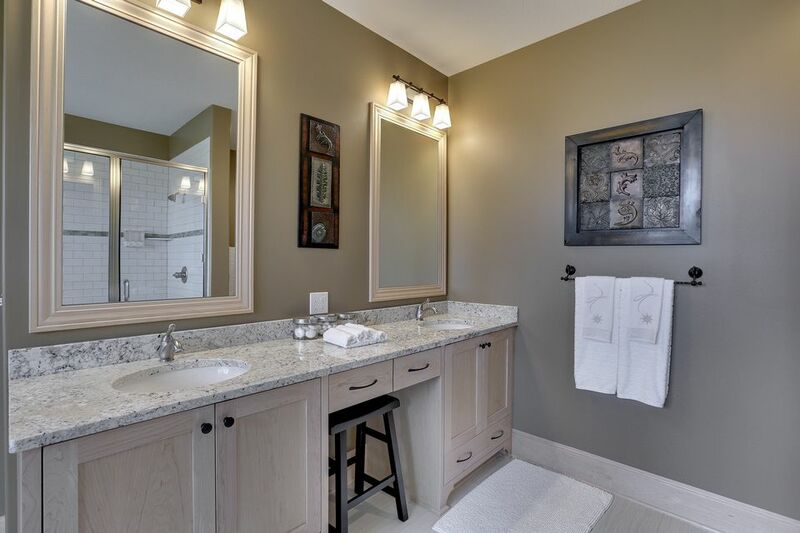 The home features upgrades throughout that include maple hardwood floors, custom kitchen with maple cabinets, granite counters, stainless steel appliances, pantry, breakfast bar, and formal dining room. 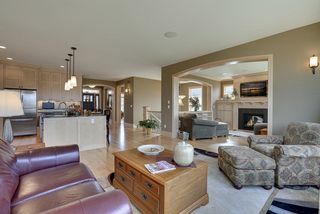 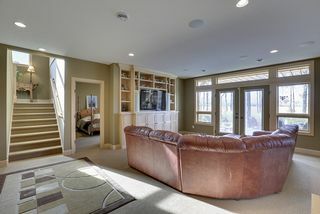 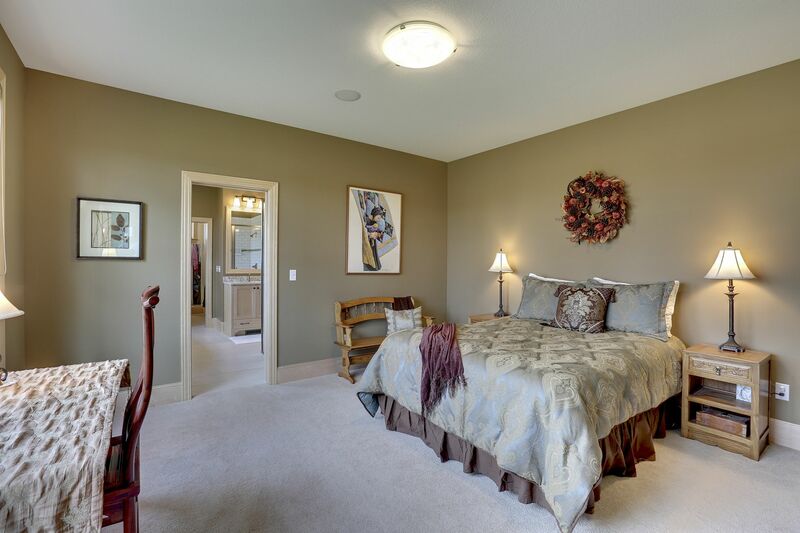 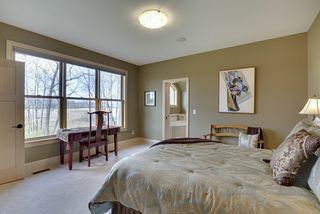 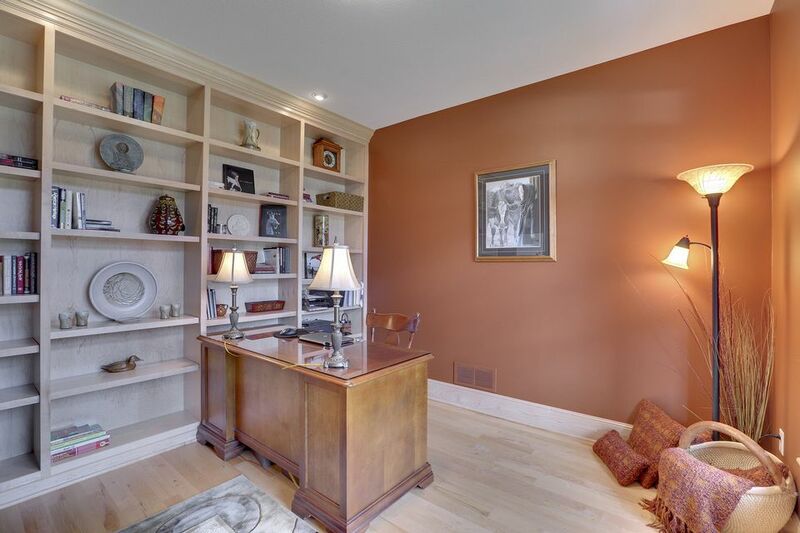 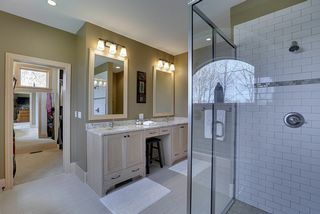 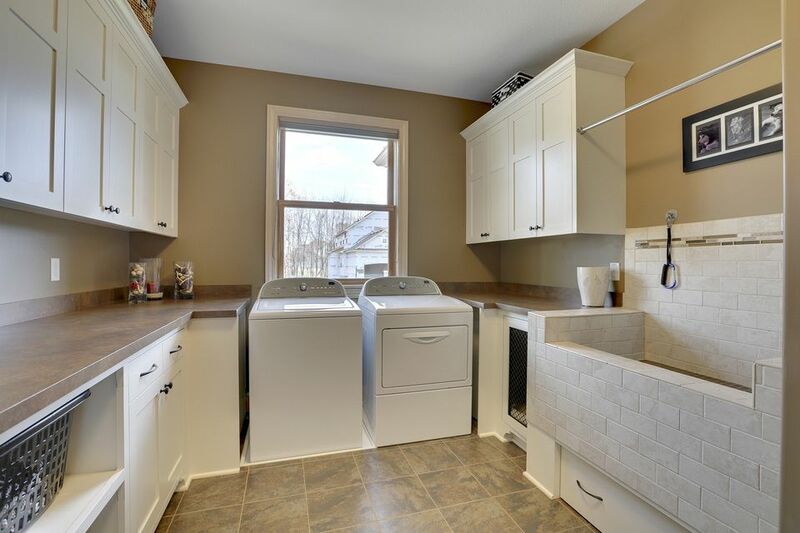 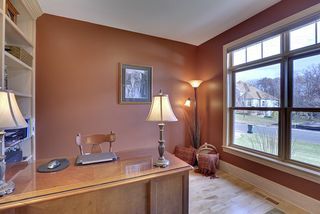 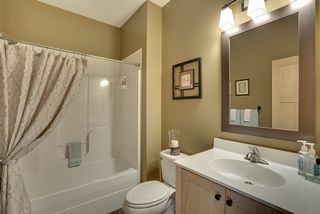 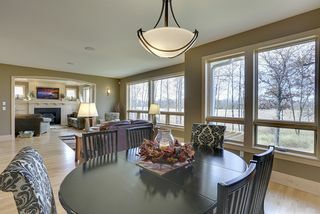 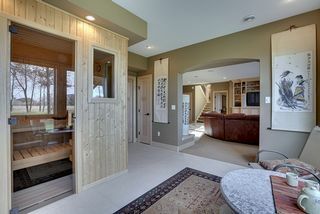 You’ll also enjoy an office, living room with gas fireplace, den with custom floor to ceiling maple book shelves, and main level custom laundry room with dog wash and built-in kennel. 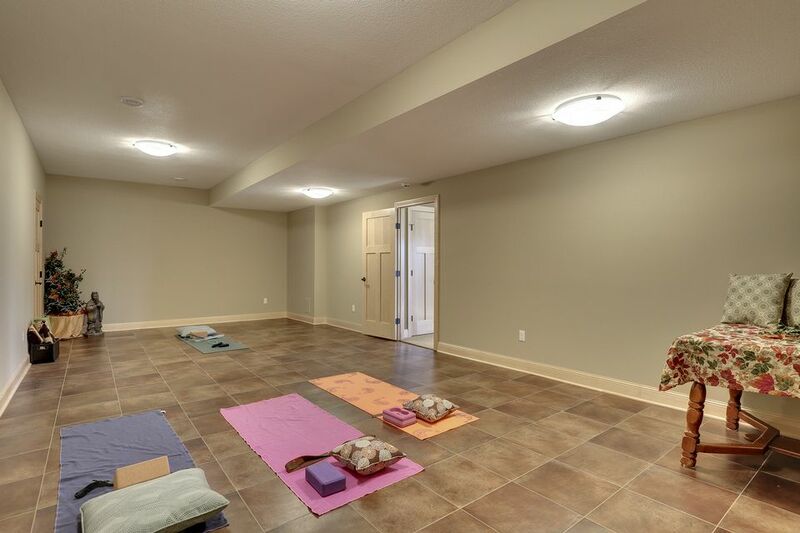 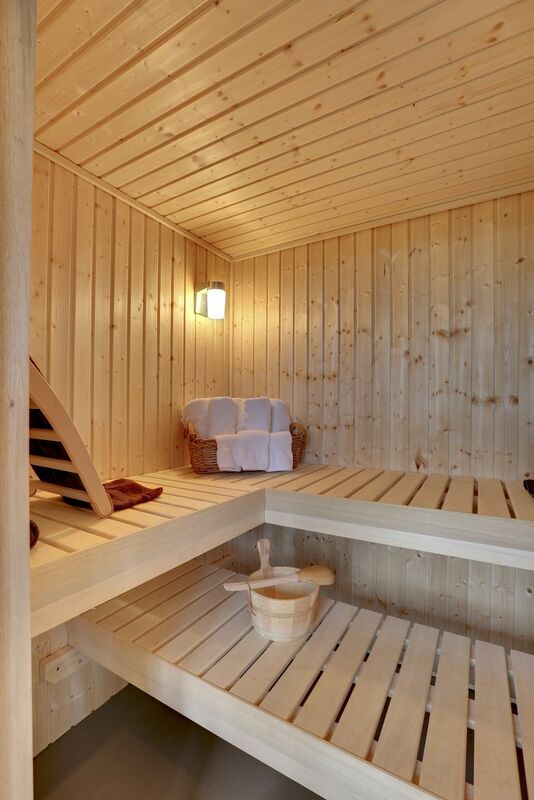 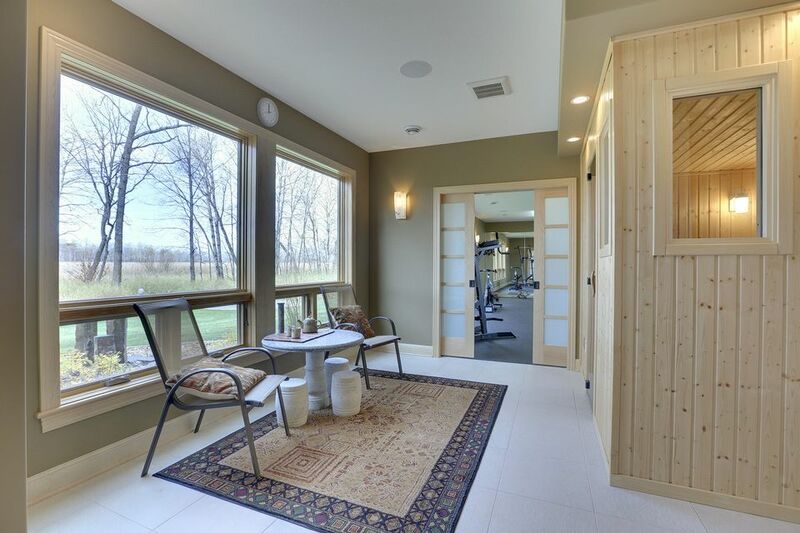 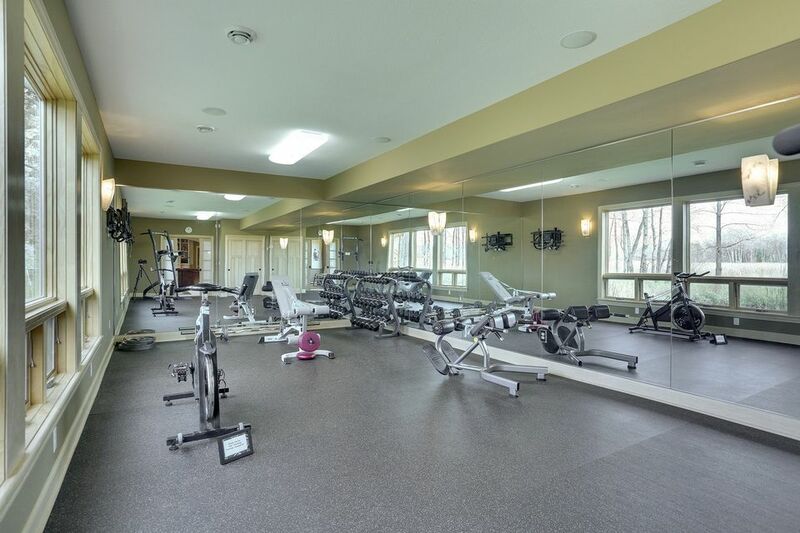 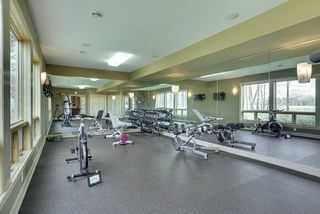 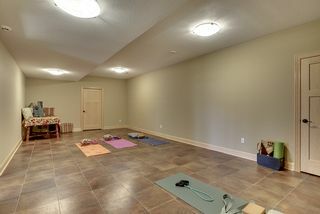 The lower level features a sauna, exercise room, yoga studio, and family room with custom high end speaker system which is the perfect place for entertaining. Nothing was forgotten in this dream build! 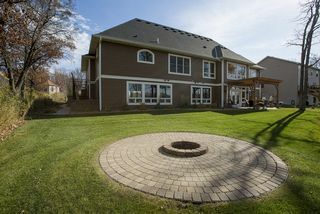 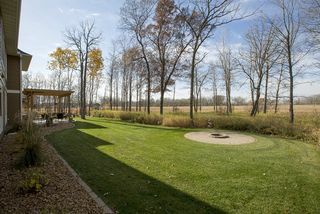 The oversized three car garage has a power hookup for an electric car, the driveway, sidewalks, and patio areas display stamped and colored concrete, there is a large cobblestone fire pit area, water feature, pergola, dog kennel, and 1.3 acres overlooking a natural sanctuary. 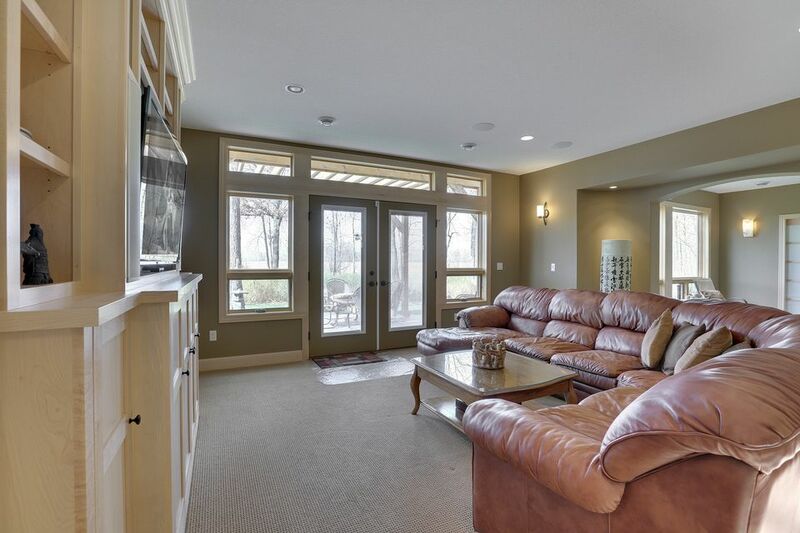 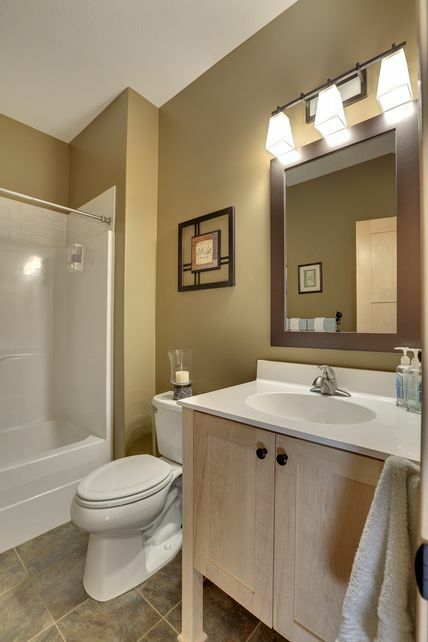 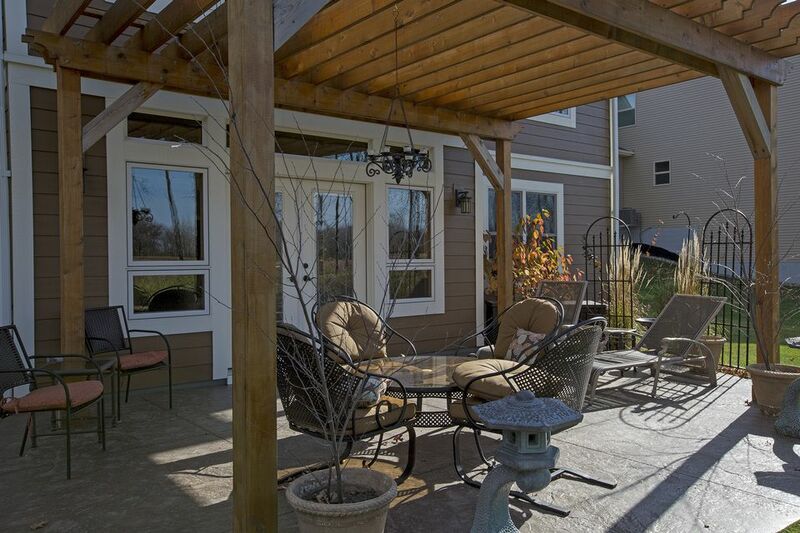 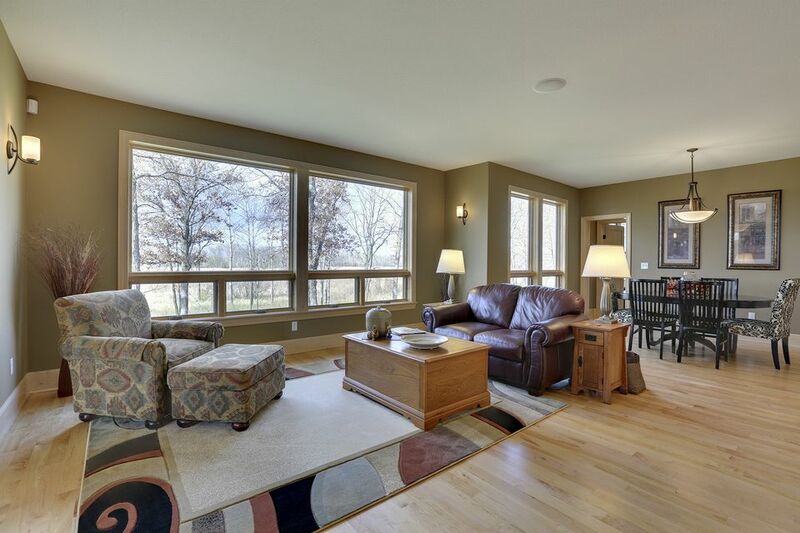 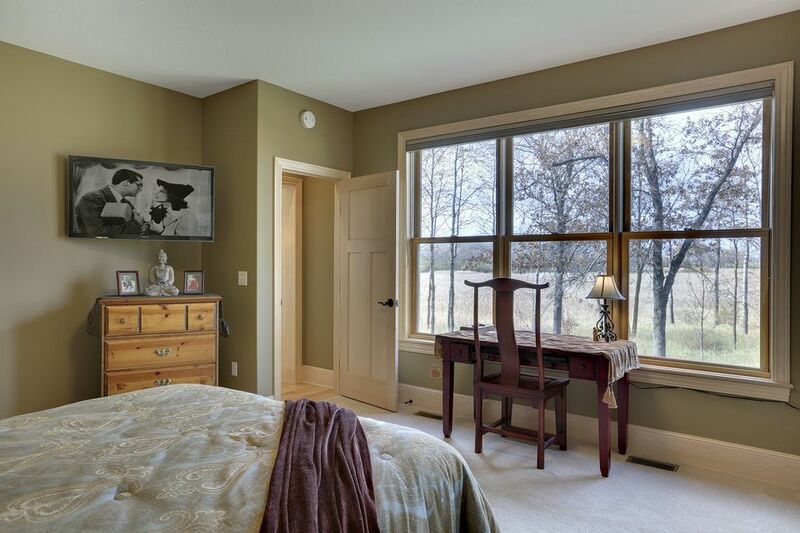 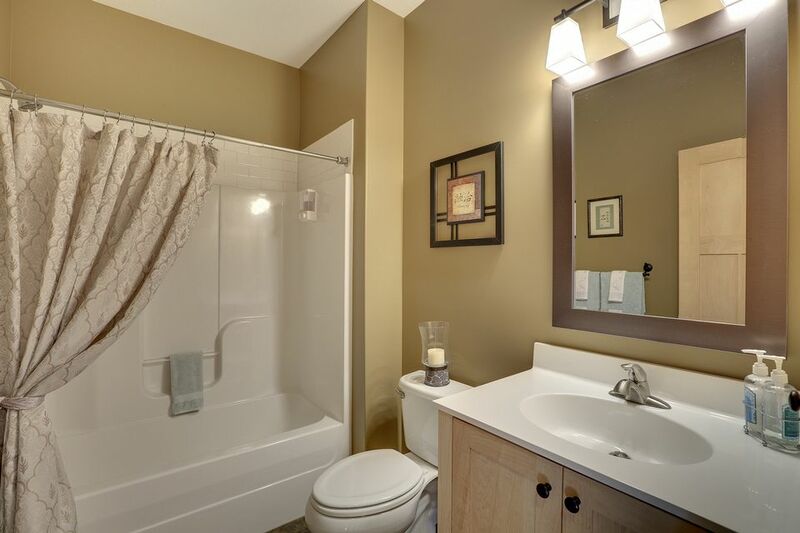 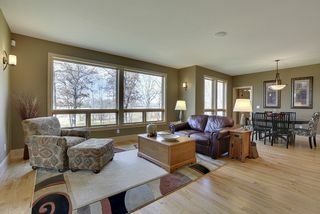 With easy access to the freeway and nearby parks, this home is served by the Anoka-Hennepin School District.